In February 2013 I was in New York City and had the opportunity to visit the Museum of Modern Art for a show entitled: “Inventing Abstraction – 1910 to 1925.” When I arrived at the museum and went up the escalator to the exhibit, I was transfixed by a 30’ by 20’ network wall map that graphically displayed the connections that some 90 artists had had with each other via personal communications or actual meetings. These were the individual artists who played an important role in the creation of abstract painting, a radical departure from what had preceded in terms of art. The wall map delineated by color highlighting those artists who had more than 24 connections in the network and those artists who had less than 24 connections, graphically linking these many people. Pablo Picasso, Fernand Leger, Francis Picabla, Alfred Stiegliz, Wassily Kandinsky, and Guillaume Apollinaire were the major “stars” in this artistic social world. The birth of abstract painting was embedded in social relations – these artists were not isolated individuals. They communicated with each other, formed schools, met frequently in groups in Munich, Berlin, Russia, and France, creating works that were certainly influenced by these relationships. Wassily Kandinsky, trained as a lawyer, but also a multi-talented artist, philosopher, a controversial charismatic leader, and a skilled marketer of his art, had a synesthetic sense (a person who could see colors in sounds) and was influenced by Arnold Schonberg’s music. When he attended a concert, Kandinsky could see colors in Schonberg’s music. His abstract art then became his endeavor to put colors on canvass, inspired by what Schonberg had created in his music. On a wall in my office at McLean Hospital is a print of J. L. Moreno’s “Sociometric Geography of a Community – Map III” (from his epic work: “Who Shall Survive?”) that depicts the social relations of young juvenile delinquent girls in a treatment facility in Hudson, New York in 1932. This social network map portrays 13 cottages in which the young girls actually lived at the Hudson facility and contrasted their current living conditions with the cottages and people with whom they would like to live. 435 young teenagers made 4350 choices and, much like the Museum of Modern Arts’ graphic social network, their choices were graphically depicted. It is an extraordinary document, clearly demonstrating Moreno’s pioneering efforts to understand group psychology and to offer interventions that would remedy common individual and group problems. Giving the members of this Hudson community choices with whom and where they wanted to live was an empirical study for the purpose of reducing common events in this community: running away, violence, recidivism, and individual conflict. Moreno understood the intricacies of group ecology in a way that few theorists and practitioners at the time did. I mention these two social network displays, one from 1932 and another from 2013, to highlight the importance of Jonathan Moreno’s significant work detailing how his father, J..L. Moreno, impacted the historical, social, theatrical, philosophical, religious, political, psychiatric/psychological forces that are still emerging today. Reading his biography of his father could be likened to that social network wall map at the Museum of Modern Art. Moreno was simply at the center of multiple, multiple connections and a force in the development of our modern culture. Like Kandinsky, no matter in what direction you turned, J.L. Moreno was there: a creative, charismatic force, challenging the psychiatric hegemony of the times and daring to create theory and methods to promote growth in individuals, groups, and society. He, like no other, influenced many, many theorists and practitioners in the field of psychology, social psychology and sociology with his emphasis upon the importance of our “group health life” and the centrality of spontaneity and creativity in everyday living. “The God Player” – Moreno discovered early on that we are all fallen gods and, in the spirit of the religious traditions, he warmed himself up to take on the spirit of religious figures, even to the point, perhaps shrouded in his own self-proclaimed megalomania, where he wrote a book entitled, “The Words of the Father.” In contrast to the Bible and the Old Testament where frequently “God” was angry and demanding, the New Testament where the Son of God was charismatic and portrayed love and the golden rule, Moreno emphasized that within each of us is a godhead and that we approach our relationships in the spirit of “I-Thou.” Godhead need not only be externalized by the Old Testament, nor personified only in the personhood of the Son of God in the New Testament, but also within each of us – we too are sources of the Godhead. His 1919 chant echoed this perspective entirely: “God is spontaneity. Hence, the commandment is: “Be spontaneous!” Moreno’s “Invitation to an Encounter” was a clarion call for all of us to treat ourselves and others as creators and be willing to see the world through others’ eyes. This was the bedrock of his many innovations. Jonathan Moreno’s description and details of this phase is a wonderful exegesis of Moreno’s early development. “Spontaneity Theatre” – similar to a “new perspective” reflected in the birth of abstract art which rejected the limitations of representational art, J. L. Moreno founded a new order of theatre called, “The Theatre of Spontaneity.” He rejected the traditional theatre as a “worship of death,” that is, theatrical presentations were finished products: actors memorized other peoples’ scripts, took positions and postures on stage that were previously “blocked,” music and lighting created context, and the audience was just that: “listeners” who voiced appreciation at the end with applause. Moreno would have nothing of that, following his principles of spontaneity and creativity. He wanted theatre to be forum for all to create together: no script, no actors, no three act format with plots and directions. The Theatre of Spontaneity was to live in the “here and now;” the process of birth was as important as the finished product or what Moreno called the “conserve.” Much like Kandinsky seeing “colors” in listening to music, Moreno saw the centrality of process, the here and now, and wanted to “search for a new order of things.” His book, “The Theatre of Spontaneity,” is a magnificent treatise on this “new order,” a primary source for the development of improvisational theatre, appreciation of the arts as manifestations of spontaneity and creativity, and the primary impact upon a long list of well known actors, artists, dancers, musicians who were influenced by these ideas. Group Psychotherapy and Psychodrama – though he was not successful in making Theatre of Spontaneity an acceptable and appreciated form of theatre, Moreno transported his ideas and innovations into therapeutic endeavors. Again, much like prophets in religious traditions, he proposed that the “group” was the primary source of treatment and that action methods (for example: role play, role training, role reversal, social atom enactments, current events, and surplus reality) were formidable avenues for individuals and groups to embrace growth and healing. He challenged the “talking cure” and the hegemony of psychoanalysis and psychodynamic principles to develop a philosophy and method that utilized the whole group to assist in the emergence of a “protagonist” who would represent a common dilemma that group members experienced in their own lives. Once the individual protagonist had completed his/her psychodrama, assisted by group members, the group psychotherapy process would commence. There was no analysis, no interpretations, no advice giving during the group psychotherapy phase, only personal sharing, compassion, understanding, only how each person could identify with the protagonist. This was the enactment of his “Invitation to an Encounter.” Psychodrama and its companion method, sociodrama, were instruments to promote healing and moderate group and individual obstacles for growth. Social Network Theory – as any person who is familiar with the internet, social media, and smart phones, there are constant reminders of how all of us are connected to the whole as John Dunne spoke about several centuries ago. The “need to belong” plays a substantial role in all of our lives and when that need is met, that is, when we have satisfying, reciprocal relationships, an important aspect of our psychological health is satisfied. Moreno’s pilot study at Hudson, the utilization of social network analysis in therapeutic endeavors, and frequent visual depiction of social connections revolutionized the way that we understand how groups develop and exist. Whether it be marketing research, political polarizations related to reading materials, economic stratification related to income distribution, friendship development throughout middle school and high school, a New York Times Sunday Magazine article written by a Harvard sociologist utilizing time-lapse photography to show group development at a fashion show, Moreno’s ideas and methods depicted our real world – our relational climate. The important and empirically supported method, “Interpersonal Therapy,” utilizes social network analysis as an important centerpiece in the treatment of affective disorders such as depression and bipolar illness. The examples are endless. Moreno’s creative ideas on how those networks influence our well-being, starting at a very young age, established the principal components that blossomed into Social Network Theory. As I had substantial contact with J.L. Moreno, and his wife, Zerka Moreno, during the late 1960’s and the 1970’s, and knew Jonathan Moreno when he was a teenager and young adult, reading this biography of his father was a gift and a joy. Having lived in the Beacon, New York training center for an entire year as a resident fellow and led psychodrama demonstrations in the New York Center on West 78th street, I had unlimited access to J. L. Moreno’s writings and publications. I was honored to have spent time with him at his dining room table and asked questions about his work and his ideas. I read all the early journals: “Sociatry,” “Sociometry,” “International Journals of Group Psychotherapy;” read the seminal contributions by prominent social psychologists, such as Kurt Lewin, who published in Moreno’s journals. At that time, Zerka Moreno was the principal trainer in developing skills in group psychotherapy and psychodrama and was just an incredibly skilled therapist and person – she had a tremendous impact on my professional and personal development as well as the many professionals who came for training from all over the world. The synergy created in those training groups was incalculable. The Moreno Institute in New York, where demonstrations of psychodrama were held every night of the week, was gifted with exceptional leaders: Jim Sacks, Bob Siroka, Ellen Siroka, Hannah Weiner, and Marcia Karp. All of this, and much more, is captured in Jonathan’s biography — a wonderful recounting of this great leader whose influence is still felt and is still important. This biography is an honest and essential narrative of his father’s life and the people in his grand social network as a result of his innovations, charisma, controversial challenger to the status quo, gifted group theorist and clinician, or as a prophetic voice for the future of psychiatry, psychology, social psychology, and sociology. There is one more, most important item of “unfinished business” that Jonathan Moreno has accomplished in writing this biography of his father. 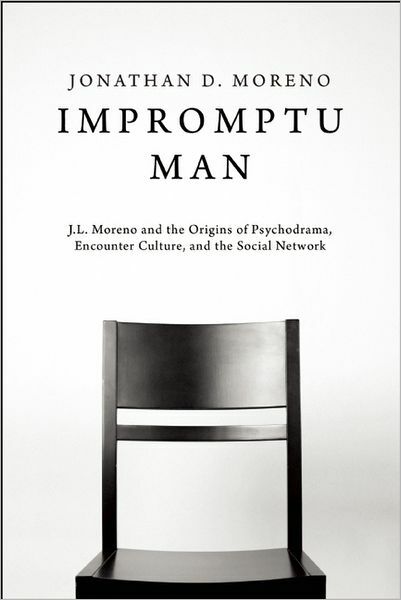 Having taught seminars in group psychology and group psychotherapy and read numerous narratives about the origins of group psychotherapy, there is no doubt in my mind that J. L. Moreno has not received the recognition that he fully deserves. He is the founder of Group Psychotherapy. Not only did he give us the name, “Group Psychotherapy,” but he gave us theories and methods in which to practice this important treatment modality. 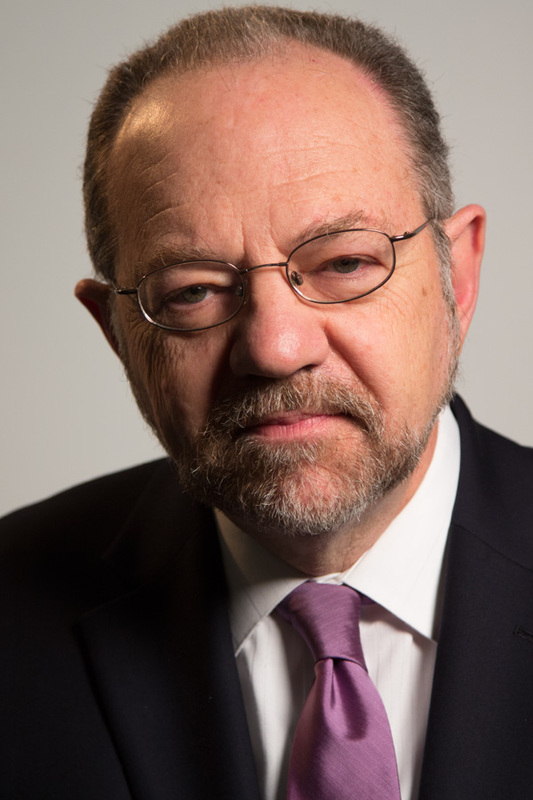 He emphasized that the group was the essential component in our society and he focused on the “group.” Many other claimants for group psychotherapy innovations were based upon migrating theories of individual development and dressed up to be applied to group work. Many theories and practices of group work, even presently, were unaware of the importance of group dynamics and how group dynamics affected individual functioning. Jonathan Moreno’s biography is a must read for group practitioners in the field. The narrative creates the historical and social forces that enveloped his father and propelled him into prominence as an agent of change who gave us ideas, methods, and theories that have assisted all of us to look at the world and people in a kinder, empathic, and creative way. This book is a wonderful gift from a son to his father and to all of us who knew and treasured him.